T/O Witchford 1934 - target Stuttgart, Germany. Crashed at . 863 aircraft - 617 Lancasters, 230 Halifaxes, 16 Mosquitos - ordered to attack Stuttgart. The German fighter controller split his forces into 2 parts. The bomber force flew over France nearly as far as the Swiss frontier before turning north-east to approach Stuttgart. This delayed the German fighters contacting the bomber stream but, when the German fighters did arrive, just before the target was reached, the usual fierce combats ensued. Adverse winds delayed the opening of the attack and the same winds may have been the cause of the Pathfinder marking falling back well short of the target, despite the clear weather conditions. Some of the early bombing fell in the centre of Stuttgart but most of it fell in open country south-west of the city. The Akademie was damaged in the centre of Stuttgart and some housing was destroyed in the south-western suburbs. 37 aircraft - 27 Lancasters, 10 Halifaxes - were lost, 4.3 per cent of the force. 2 of the Lancasters force-landed in Switzerland. Son of David and Nessie Rodger, of Newmilns, Ayrshire. Durnbach War Cemetery - collective grave 11.B.12-13. Son of Jack and Margaret Florence Baker, of St. Pancras, London. Age: - POW No 2986 Stalag 357 Fallingbostel. 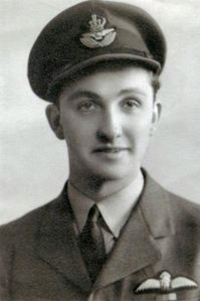 Brother Victor flying in a Lancaster, was shot down on the same raid, he didn't survive the crash. 100 Sqdn. RAFVR - Sgt, WOP, service no 1473895, age 20 - Poix-de-Picardie Churchyard - Sp. Mem. Row E. Grave 23. Son of Ernest Werrett, and of Hannah Maude Werrett, of Bristol. Age: - POW NO 3422 Stalag 357 Fallingbostel. 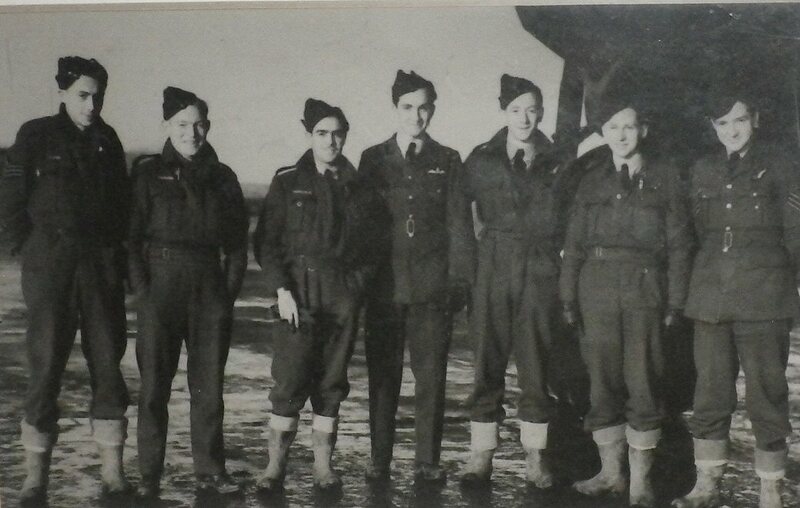 This photograph is believed to have been taken at RAF Downham Market. Just in view the Stirling's unmistakable landing gear. Son of Nicholas Archibald Jory, and of Matilda Jory, of Plympton, Devon. Durnbach War Cemetery - grave 11.B.14.